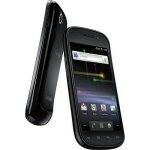 A few weeks ago we told you Android 4.0 was coming to the Nexus S 4G soon, then just a few days ago we saw a leaked update based on Android 4.0.4. Sprint just let us know that the update is officially rolling out, starting now. The update brings a number of new enhancements from Ice Cream Sandwich, including Android Beam, a new camera interface with panorama mode and the new UI enhancements in Android 4.0 that we've come to love. Sprint's email says that the update will be automatically downloaded to the user's phone when it is available, so keep an eye out for a prompt to apply. It will be sent out in waves, and they make no mention of a manual download process. For those of you rocking a stock Nexus S 4G let us know if you get the update, and if you have any success manually pulling the update. Any word on the GSM version? AHHH I have been waiting months to see this!!! I was about to just root my phone and install the leaked update. I will post on here whenever i get the OTA update. Can anybody confirm this? Has anybody gotten the update yet? this was posted 18 hours ago! I am impatient! Has anyone got this update yet? I've been waiting so long. I got a taste of it last month back when it was leaked that ics was coming out. It was on my phone for less than 24 hours, then taken back. I just received the ICS update on my Nexus S 4g! My wife and I have the same exact phone and one got the update and the other has not received it yet. The fact is, the roll out really has begun. The phone seems to be performing better than it was. Only time will tell. I got it but had to do it this way... Go to your settings menu go to application, manage apps then click all. Go down to google framework click on it, then click clear data.... Then go back to about phone and check for system update, it should work and if not do the checkin first *#*#checkin#*#* then go back to about phone and system update. Got the update yesterday. It's amazing. Still learning things about the software but it's definitely an upgrade. You won't be disappointed.